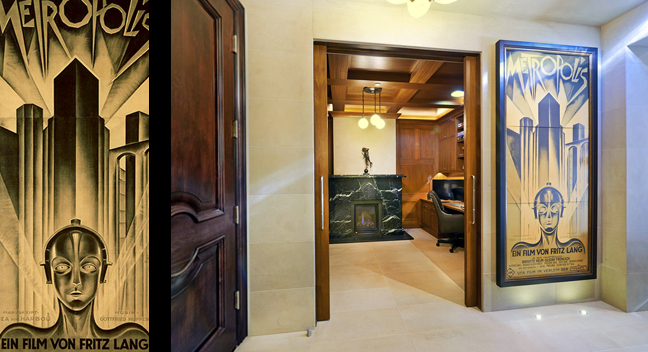 The Art Deco foyer and library feature a custom door, authentic light fixtures, and original poster. 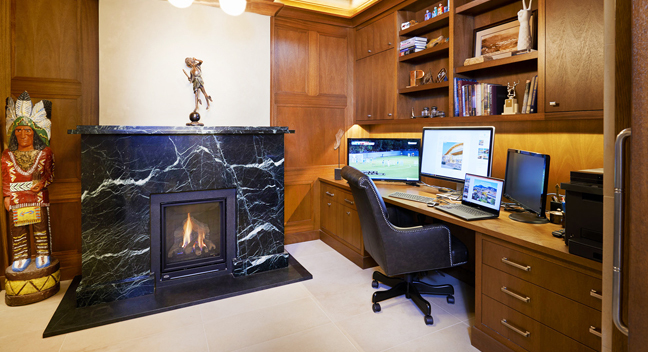 The custom marble fireplace centers the intimate mahogany-clad library. 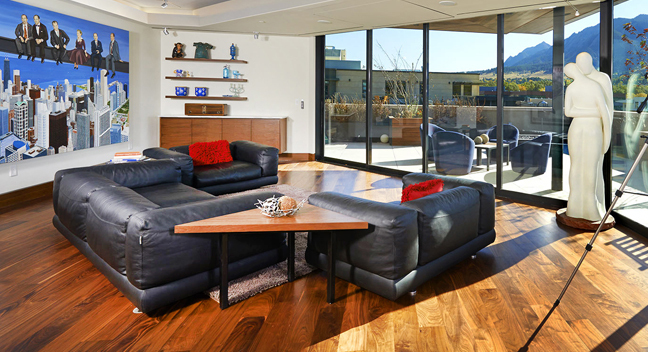 Your journey through the intimate foyer directs you to the modern, open living space. 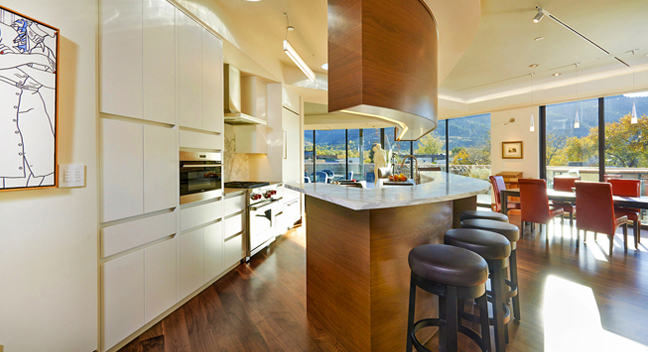 A custom kitchen features walnut and Carrara marble and showcases the surrounding art and millwork. Your journey continues through the art-filled gathering space, revealing Boulder’s iconic Flatirons. 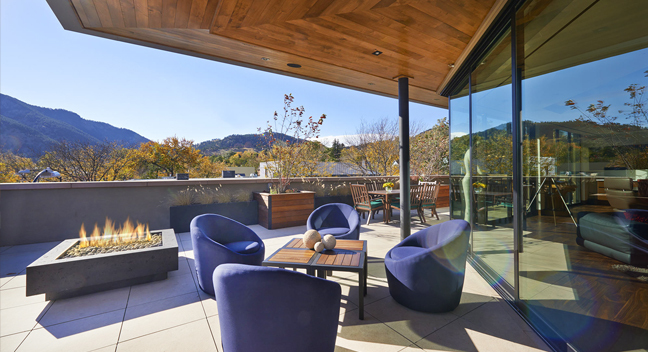 The panoramic views continue and are punctuated at the wrap-around terrace. 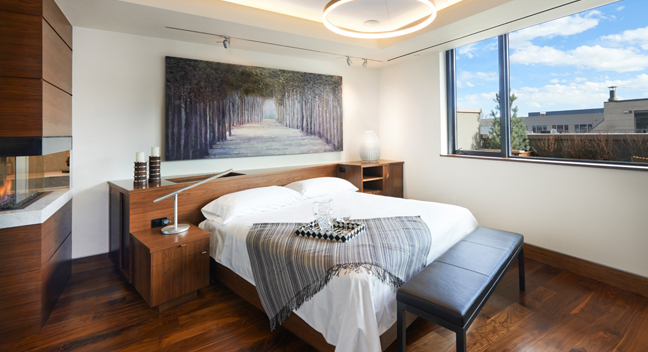 The intentionally angled custom master bed and millwork allow direct mountain views. 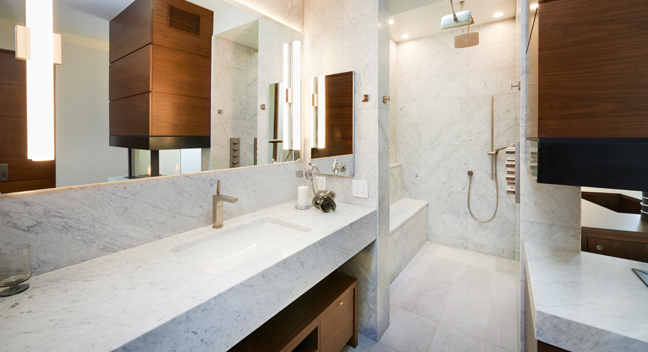 A cleverly positioned fireplace separates the bedroom from the Carrara marble and walnut washroom.